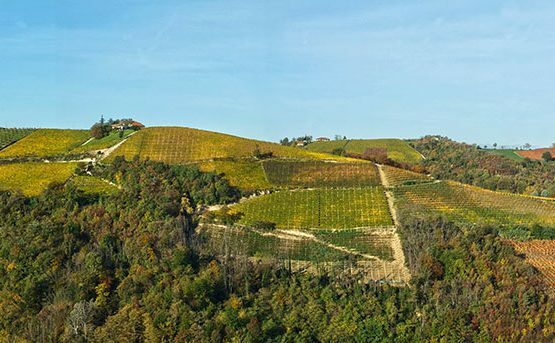 The estate’s vineyards have a total area of approximately 15 Ha, the largest part of which (about 8 ha), is on the hill named Bric del Fuin (Trezzo Tinella), where we find vineyards cultivated mainly with Moscato d’Asti but also with important exposures dedicated to Langhe Nebbiolo, Barbera d’Alba and Dolcetto d’Alba. The soil composition is characterised by solid, bluish grey marl, alternated with layers of sand and stone. They are very compact soils, where elegant and refined wines are born, with a good structure that enables them to age well over a long time. 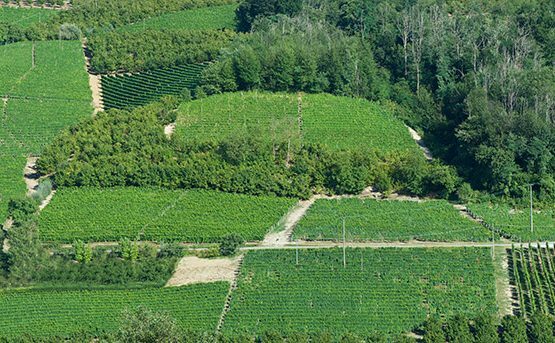 In the Passatore district of the municipality of Trezzo Tinella, we find fresher soils, dedicated to the cultivation of Sauvignon Blanc, Moscato d’Asti and Pinot Noir. A regular sequence of reddish-yellow layers with marl that is less compact but rich in calcium carbonate determines the geological conformation of this area, where the presence of more accentuated humidity makes it possible to obtain freshness and considerable aromatic structures. 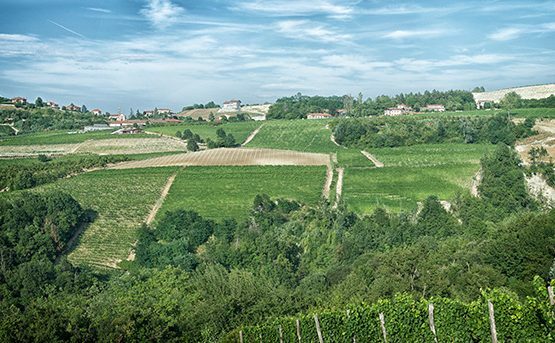 The Meruzzano district is located in the municipality of Treiso and comprises about 6 ha of land divided into three vineyards planted with Nebbiolo for Barbaresco, Pinot Noir, Moscato and Chardonnay. Here the soil composition is characterised by calcareous grey marl, with less compact soils, still rich in minerals, which convey freshness and a pleasurable drinkability.